February is here and the ground hog has spoken promising, according to myth, several more weeks of winter. Regardless of winter’s grip, something that will warm your heart and soul is a February trip to the 560-acre Gibson County Lake, located just east of Trenton, Tennessee. It provides excellent year-round fishing opportunities, but it is especially good for trophy bass fishing when fishing the year’s shortest month. If you are looking for the largemouth of the lifetime, this is a place you need to check out. The introduction of the Florida strain of largemouth have helped bass here achieve hefty weights. A high-percentage technique used to catch largemouth during the month of February is Carolina-rigging. And at this time of year, on bright days, a lot of super-sized bass are caught using this rig near cover that’s found at depths of 15-20 feet. When it’s overcast, the fish move up near cover in 5-10 feet. Gibson County lake is blessed with an abundance of silver sides and shad…wonderful prey fish, that as expected, help largemouth pack on some pounds. 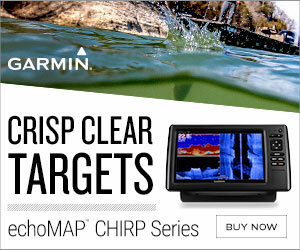 Many anglers use side-scan electronics to locate schools with their graphs. Once the schools are found, fishermen cast their Carolina rigs beyond the schooling forage and work the baits back through…and it’s super effective. Most of the serious trophy hunters at Gibson County Lake depend entirely on side scans to dictate where they fish when the calendar flips over to February. Most of the bass they catch are hooked within the pods of bait and range anywhere from 4- to a whopping 10-pounds plus. Another bass angling option for a February trip to Gibson is a black and blue jig and plastic combination. Try this along the 9- and 12-foot lake contours. Jerkbaits are an added option. You can do well with the on the cove points or in the mouth of the coves over 15- to 20 feet…but note, this is only really a reliable technique if the water temp stays below 55 degrees. Another key to figure in to your approach on this trophy bass lake is water clarity. Make whatever adjustments you believe will give you added chances depending on the water’s color. The Tennessee Wildlife Resources Agency has done an excellent job of managing this lake, so that it can routinely produce double-digit bass. So, again, if you are looking for a good place to fish, with good odds to catch a big ‘un (and who isn’t? ), be sure to pay this lake a visit this month. In addition to largemouth, the lake also boasts crappie, bluegill, redear sunfish and blue and channel catfish. There is a boat ramp, with fishing licenses, tackle, bait and boat rental available on site. A contact number for the lake is 731-855-2990. Until next time, catch one for me…in Tennessee!